If you call it a Kids Soccer party or Kids Football party it is still the same result. Happy active and energetic kids playing a game they love in a fully inclusive environment at a location of your choice. This will not only make their day and week but will be fun for all their friends to attend. Kids football parties at a location in Sydney is a great way for kids to spend their birthdays. 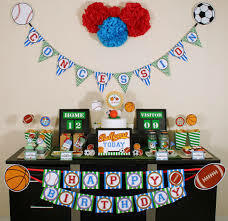 No need for you to worry about organizing the games and activities for the birthday party entertainment. We also bring all the equipment such as footballs, bibs, cones etc or invitations, they’re included! Our Kids football parties are incredibly popular with all ages and can also incorporate other sports or games to keep the kids active for the whole 90 minutes. We tailor all the activities to suit the birthday child to help give them the best day ever because it is their party. We also have to be mindful of the guests in attendance also. 90 Minutes of fun Football Action – it’s a football party so we spend our parties out on the pitches playing! Your Dedicated Kids Party Coach – Their sole purpose will be to supervise and entertain. All ball, bib and equipment hire for the on-field action. For a little extra you can include Lolly Bags. 100 gm sealed lolly bags which contain frogs, snakes, jelly beans, fruit salad and jubes. Plenty of drinks such as flavored water in cups or water bottles with the kids names on it. Snacks such as fruit, chips and basic party food. Do not go to wild with the snack food.